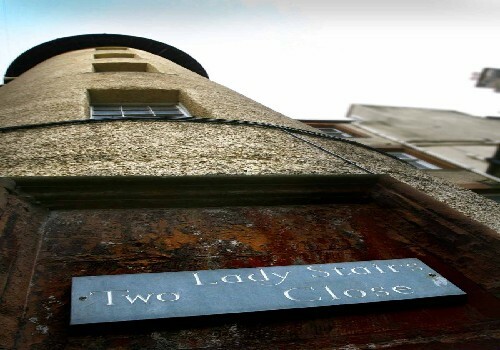 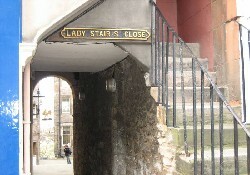 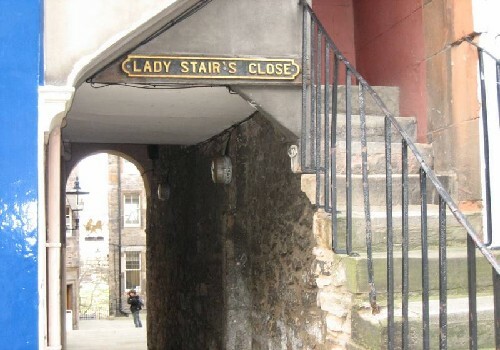 Ladystairs is a second floor apartment in a listed building on the Lawnmarket (the top section of the famous Royal Mile) and is approximately 150metres from Edinburgh Castle. 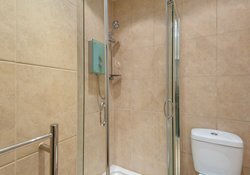 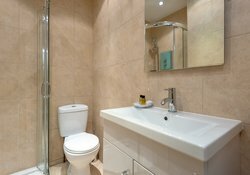 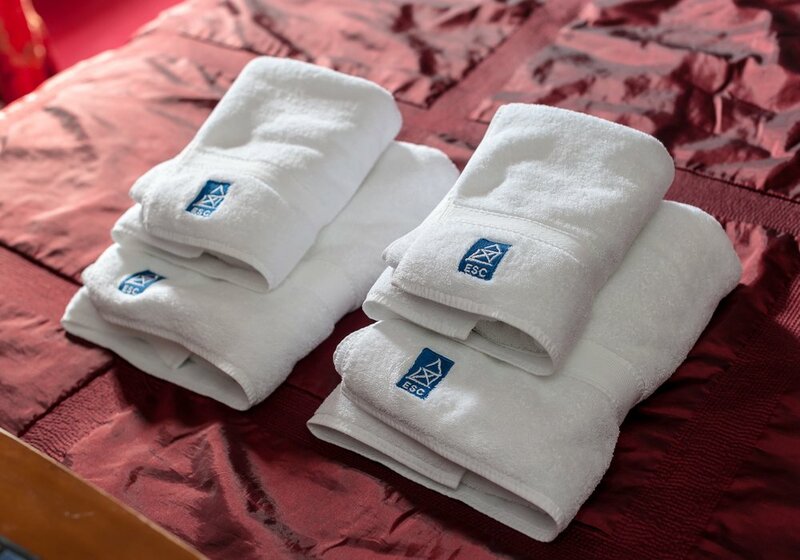 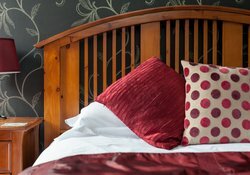 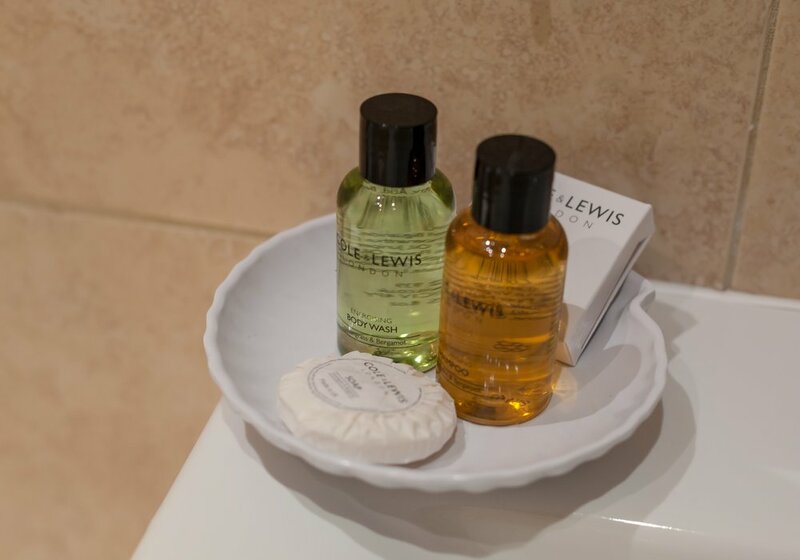 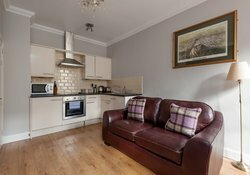 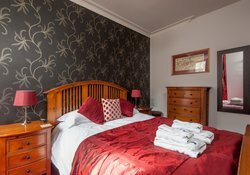 This self-catering apartment is furnished and decorated to a very high standard to make your stay in Edinburgh as comfortable as possible. The apartment is a pleasant walk to many other major Edinburgh attractions such as the Royal Scottish Museum and the National Gallery of Scotland. There is also a copious amount of bars, restaurants, cafes and shops in the immediate area. 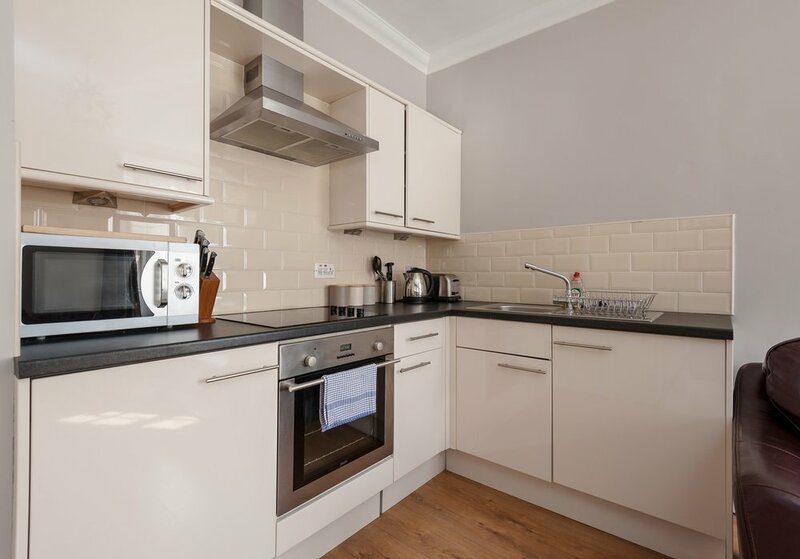 This combined lounge/kitchen area has been completely equipped to make your stay as comfortable as possible. It contains a sofa bed (which converts to a comfortable double bed) and a dining table suitable for four guests. 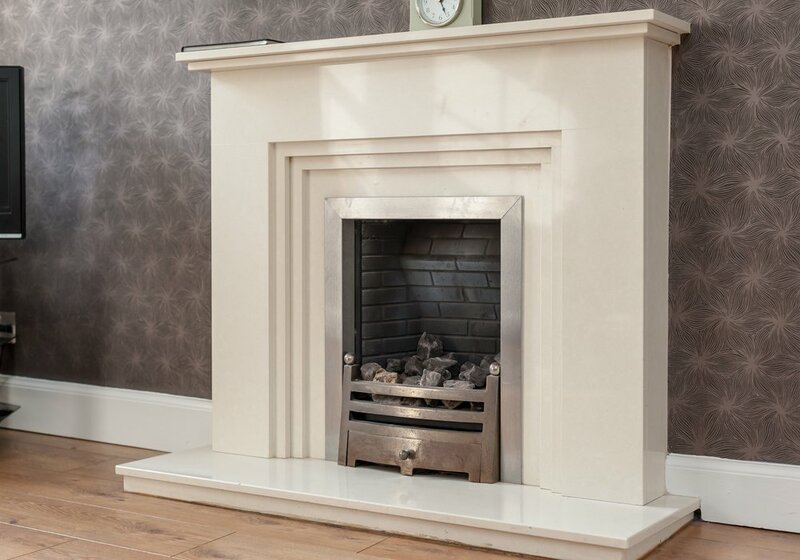 A fireplace with a coal effect fire provides additional heat to the convector heater and some smaller items of furniture and lighting features create a wonderful ambience in the room. 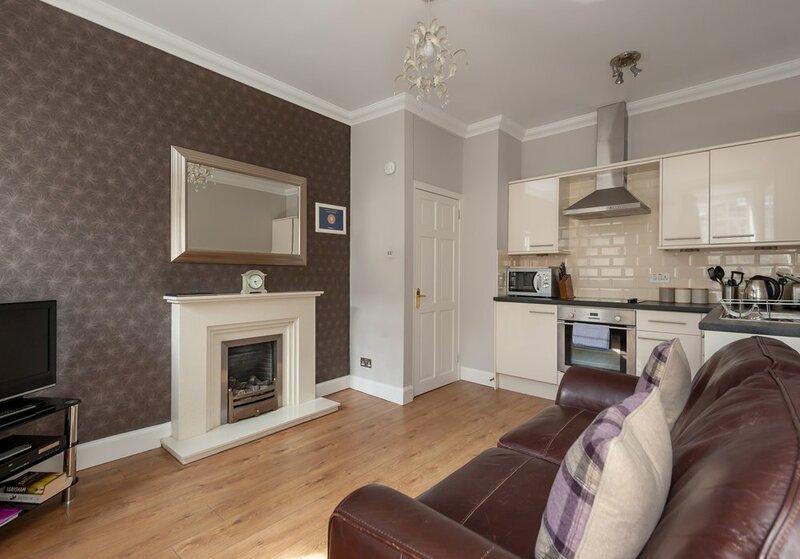 A widescreen TV with approximately 30 digital channels. Guests who have a laptop can also enjoy a free broadband connection either through the supplied cable or by wifi. 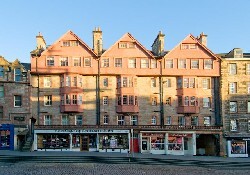 There is a fantastic bay window to give you a superb view of the Royal Mile. 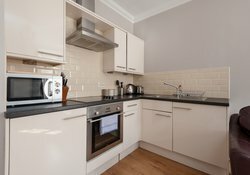 The kitchen area is fully equipped with a fridge/freezer, electric oven & hob, microwave oven, washer/dryer and cutlery & crockery for up to four people. 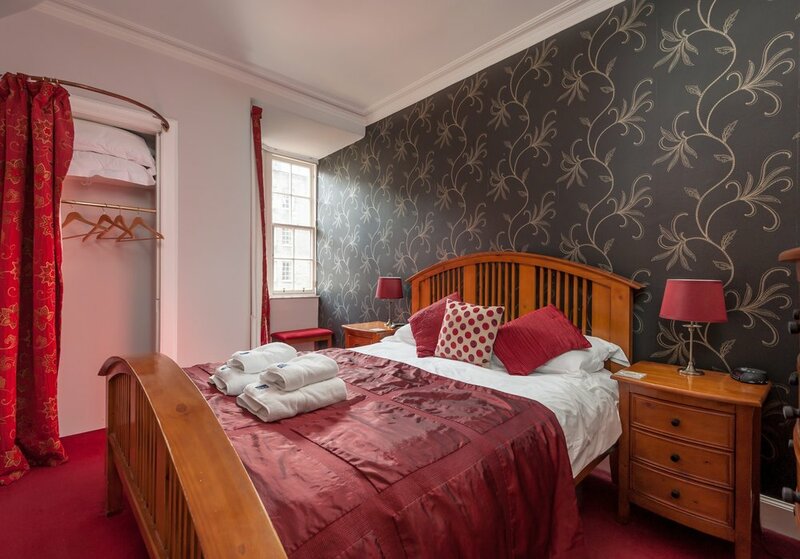 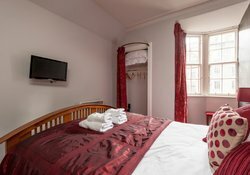 This is a lovely double bedroom with a bay window with a wonderful view of the Royal Mile. 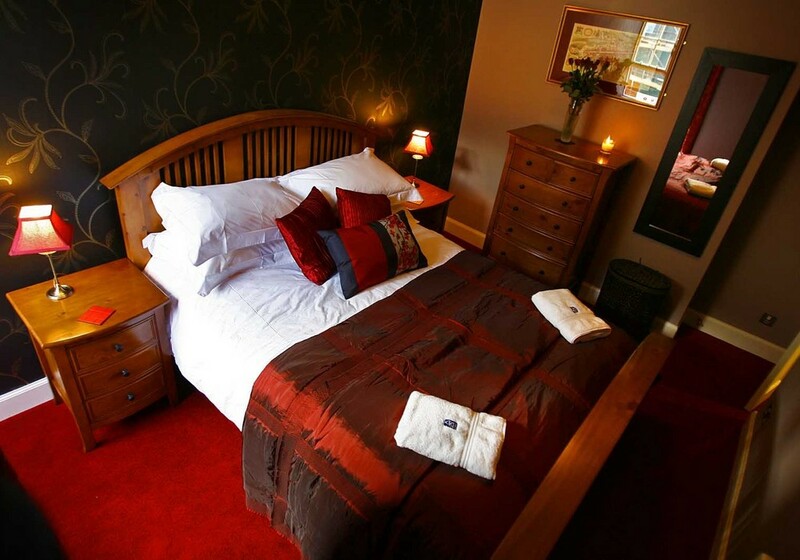 A kingsize double bed with two bedside tables, a chest of drawers and a hanging area provide ample storage space for your possessions. There a wall mounted LCD TV with 30+ digital channels and it has a built in DVD player. 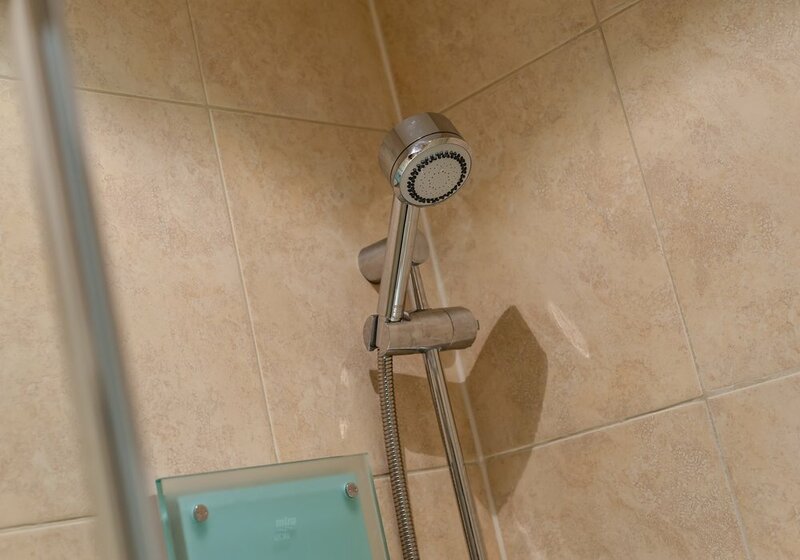 Instant electric shower, wc and basin, plus a shaver point. 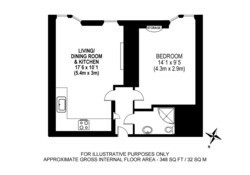 Non smoking throughout property, including at open windows. 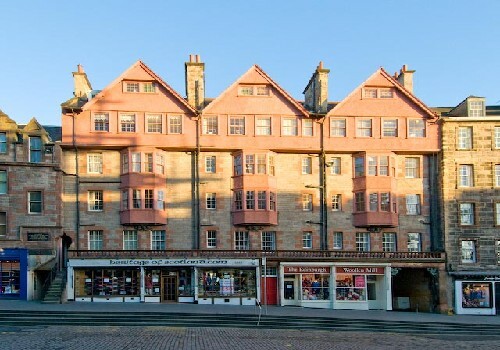 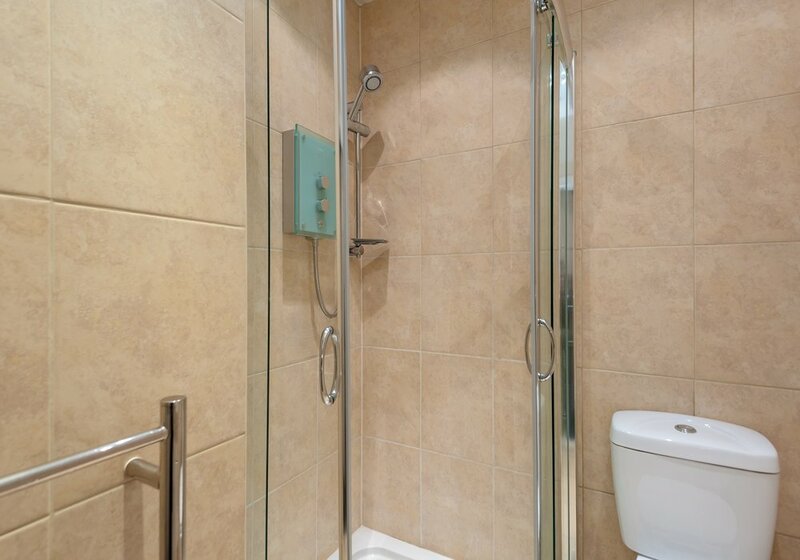 Property is in a listed building on the famous Royal Mile which is a UNESCO world heritage site. 1. 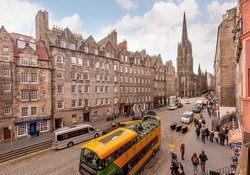 Edinburgh trams, approx every 8-10 mins (Sunday 12-15 mins), right outside terminal, the nearest drop off point for the apt is the Princes St stop which is approx 300 metres away. Cost 8.50 pounds for adults and 4.50 pounds for children for a RETURN journey.